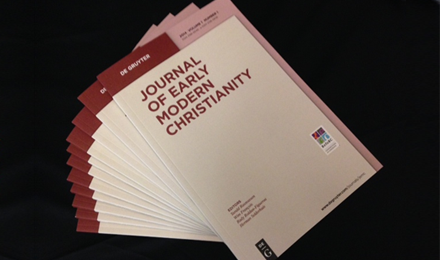 The Journal of Early Modern Christianity (JEMC) is inviting submissions for the 2018 and 2019 issues. JEMC intends to contribute to interdisciplinary, interconfessional, and comparative research on early modern Christianity. The journal bears out its interdisciplinary character by including a variety of relevant disciplines, such as church history, social history, cultural history, art history, literary history, history of ideas, history of music and archeology. Its interconfessional approach means that it includes contributions covering the major confessions of early modern Christianity, as well as Christian minorities and dissenters that were not recognized by any of these mainstream confessional traditions. JEMC also incorporates topics concerning the relationship between Christianity and other religions in the early modern period (Judaism, Islam, etc.). The journal’s comparative approach gives expression to a broader intellectual ambition of stimulating research that is not restricted to a local or national scope, but takes advantage of the rich theoretical possibilities of comparing and synthesizing at a European, international, and even global level. In terms of chronology, the Journal primarily covers the period from 1450 to 1640. The main language of the Journal is English. Occasionally, contributions in German and in French are also accepted. Usually contributions will range between 12 and 28 pages (approx. 31.250-68.750 characters or 5.000-11.000 words). All articles will be double-blind peer reviewed. Submissions should be sent to jemc@reforc.com.